With miles of clean white sandy beaches, Oceanside, California is one of the best coastal destinations on the West Coast. Take advantage of a comfortable family vacation by staying at Oceanside vacation rentals, and enjoy the convenience of being near the beach and never far from a walk or run by the water. The city's recreation and other attractions are never far either, so the family can relax and just be at peace while exploring this unique beachfront community, its recreation, and its history. 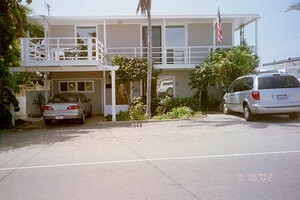 There is much to do near Oceanside rentals and more to the area than sitting on the beach. That is just what you can do if the family wants to vegetate on the sand. A walk out onto Oceanside Pier is great exercise; it is one of the longest wood piers on the coast. After a leisurely morning at Oceanside Rentals CA, you can also explore Main Street where there are many historical buildings. The Heritage Park Village & Museum is home to several of them which you can explore, including a blacksmith, city jail, school, and newspaper building, which add educational value to the experience. Oceanside also has much to offer as far as recreation. Go for a jog or a bike ride along the miles of oceanfront roadway, and take advantage of the three golf courses nearby if you are into hitting the links. There are also many tennis courts to burn off a few calories. Enhance the adventure with a tour of the harbor where you can rent a jet ski or kayak. Whale watching is something which the whole family can get together for when in season. While the area is bustling with activity, everyone can appreciate the convenient room they have at Oceanside vacation rentals, as an alternative to a local hotel room. Some attractions here offer experiences that can be found nowhere else. Have a look at the ecological terrain of Camp Pendleton Marine Corps Base, or visit the California Surf Museum to explore the area's surfing culture from a historical perspective. Downtown Oceanside is also home to the Oceanside Museum of Art, so you can get in a taste of the arts during your stay as well. These affordable attractions take little out of your budget, and Oceanside rentals also remain affordable while providing a convenient alternative for a family getaway to the limited space of motel rooms. Plan a family vacation without the tension that hotel or motel rooms can bring when it is time to relax. By contacting a home owner in the area, you can book a stay at Oceanside vacation rentals and the entire family will be glad you chose a rental as an option. Pleasure and luxury are staples of the California coast. With the many kinds of Oceanside rentals, you can find just the right one based on your budget and what is ideal for everyone in the family. Check out nearby Carlsbad , Dana Point , Encinitas , San Clemente , San Diego , Solana Beach .